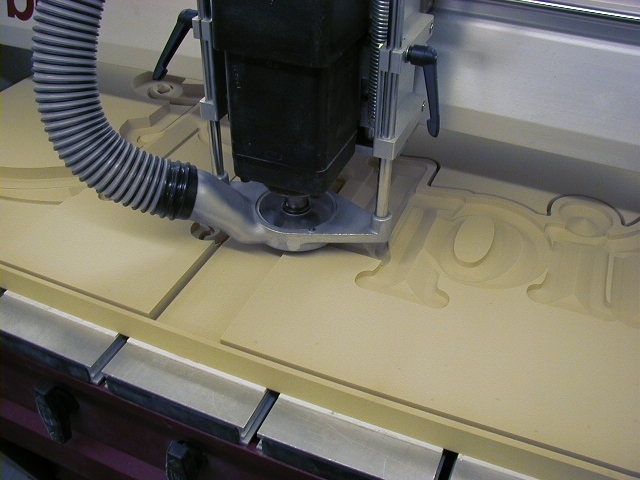 CNC (computer numeric control) routing is cost efficient when your needs are for perfect repeatable products cut to close tolerances. Our 50” x 100” vacuum hold flat bed table with a 5 HP, 3 phase spindle can cut a variety of materials. With the combination of software, a variety of bits and your creativity, 2D (and partial 3D) objects can be precision routed to meet your specifications. Send us your project and our technicians will partner with you to meet your customer’s needs.